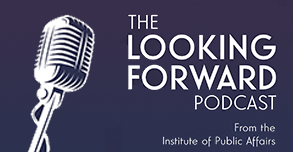 Executive Summary: Research conducted by the Institute of Public Affairs demonstrates that section 18C of the Racial Discrimination Act 1975 must be repealed to protect freedom of speech in Australia. Part A of this report comprehensively outlines the case for the full repeal of section 18C, and the reasons why alternative proposals for reform fail to stand up to scrutiny. Reforming the process for hearing section 18C or the Australian Human Rights Commission. None of these reforms will address all of the problems created by section 18C. We conclude that section 18C must be repealed in full, along with the associated provisions in Part IIA of the Racial Discrimination Act 1975. Part B of this report outlines the history of section 18C and how it has been interpreted. This information forms the basis for the argumentation in Part A. Executive Summary: Undergraduate history degrees in Australia fail to teach fundamental aspects of Australia’s history and how Australian liberal democracy came to be. Instead, they offer a range of disconnected subjects on narrow themes and issues—focusing on imperialism, popular culture, film studies, and ethnic/race history. This report contains the results of a systematic review of the 739 history subjects offered across 34 Australian tertiary institutions in 2014, including 34 history programs and 10 separate ancient history programs. Only 15 subjects out of 739 subjects surveyed covered British history, and of these, 6 were principally concerned with twentieth century British history—that is, the history of Britain after the colonisation of Australia. Only 10 of the 34 universities surveyed offered subjects on the history of Britain as part of their history programs, even though Australian society is founded on British institutions. By contrast, 13 offered film studies subjects as part of their history programs More universities offered subjects on the history of popular culture (8) than offered subjects on intellectual history (6). The report also ranks universities depending on how closely they adhere to the Oxbridge model of historical comprehensiveness. Only the University of Sydney, Macquarie University and Monash University come close to the Oxbridge model. Some very small and new institutions — such as Campion College — rank as well on this measure as large and well-established universities like the University of Melbourne. There is also a tendency for many smaller universities to offer subjects exclusively on Australian and twentieth century history, thus promoting a narrow and short-sighted view of history. Undergraduate history informs the next generation of historians, the next generation of history teachers, and their future students. This report raises concerns that a new generation of Australians will have a narrow and fragmented grasp of our heritage, and lack an understanding of the institutions that have made Australia free and prosperous. The Magna Carta is a founding document of individual liberty, rule of law, and parliamentary democracy. In this accessible and engaging book, Chris Berg and John Roskam explain what the Magna Carta is, where it came from, and why it matters. The barons demanded of King John nothing less than a wholesale revolution of government. 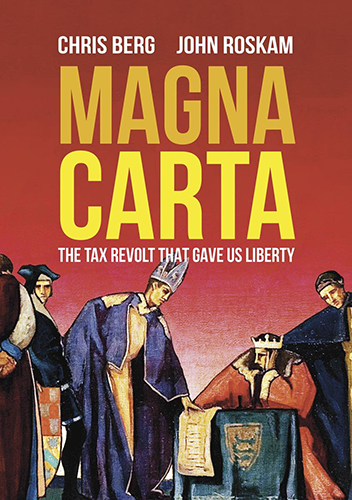 The Magna Carta establish the fundamental link between tax and consent. Eight centuries later, understanding how our liberties came from a revolt against oppressive taxation has never been more important. Introduction: The Tax Laws Amendment (Tax Integrity Multinational Anti-avoidance Law) Bill 2015 exposure draft represents an important and concerning watershed in the practice of Australian corporate tax governance. The draft bill would base the assessment of Australian tax liabilities on an assessment of tax rules in other countries. It undermines global tax agreements to which Australia is a part that have developed to prevent double taxation, risking the phenomenon that those agreements were designed to avoid. It offers a disincentive for the world’s biggest firms from establishing operations in Australia. It mischaracterises readily understandable business decisions as tax avoidance and penalises firms for normal corporate structural practices. The scope of this legislation amounts to a substantial, yet entirely unpredictable, increase in corporate tax, and an attendant increase in the regulatory burden faced by large firms operating in Australia. We dispute the claim that this is a “tax integrity” measure. It is very much a tax increase. Introduction: This submission has been drafted in response to an invitation to the Institute of Public Affairs to make a submission to the Acting Independent National Security Legislation Monitor’s Inquiry into section 35P of the ASIO Act. Introduction: In October 2014 the Australian Senate agreed to an inquiry into corporate tax avoidance. This comes after a wave of media comment about apparent tax “minimisation” strategies practiced by large multinational firms, particularly firms operating in the technology space. The debate over company tax avoidance at home and abroad is a highly politically charged one, but the evidence suggests it offers far more heat than light. The debate has exposed that the mechanics of Australia’s company tax is poorly understood. Even basic aspects of the company tax – such as the distinction between accounting profit and taxable profit – have been misinterpreted and those misinterpretations repeated. Such misunderstandings and confusions multiply when the debate turns to the interrelation between company tax in different countries and the international corporate tax regime. Further complications are the growing significance of intellectual property and “border-less” commerce in the digital age. This makes the existence of confusion about the company tax burden understandable. But that confusion is no basis on which to alter the structure of the tax system, nor impose new regulatory controls or privacy-limiting information sharing policies, which could undermine the value of Australia as a business friendly economy. Furthermore, the overarching public policy goal for Parliament must be the ultimate health of the economy, and the prosperity of the Australian people. We value multinational activity in Australia not because they provide revenue for the government budget, but because they create economic activity: provide jobs, services, and enhance our wellbeing. Parliament must avoid introducing policy settings which purport to protect the stability of public revenue but at the same time cool the investment climate and push multinational economic activity outside of Australia. There’s another reason for [the government] to be careful. When all the dust had settled from Swan’s tax crusade, the mining tax raised almost no money anyway. However, The Telecommunications (Interception and Access) Amendment (Data Retention) Bill 2014 (“data retention bill”) will mandate the creation of large databases of information about the activities of all Australian internet users, not just those suspected of criminal activity. The information contained in these databases will be sufficient to reconstruct extremely deep profiles of the activities of internet users. The information within the databases will be potentially available in any court proceeding, including, for instance, as the result of a subpoena in civil litigation. The government has made a decision not to limit access to this information to national security purposes. The creation of these databases manifests substantial new privacy risks to Australians, both from lawful and unlawful access. The government has not demonstrated that the risks and consequences of mandatory data retention outweigh the benefits to law enforcement, nor has it demonstrated that the existing legal framework – which was substantially revised in 2012 – is insufficient to tackle the security challenges which the government has identified. Executive Summary: The sharing economy describes a rise of new business models (‘platforms’) that uproot traditional markets, break down industry categories, and maximise the use of scarce resources. The best known services are the ridesharing system Uber and the accommodation service Airbnb. However, the sharing economy extends much further into finance, home tools, investment, and everyday tasks. The ‘sharing economy’ emerged from dramatically falling transaction costs that had prevented certain markets from developing. The sharing economy coordinates exchanges between individuals in much the same way as a traditional market, but does so in a flexible, self-governing, and potentially revolutionary way. These burgeoning benefits are profound: more sustainable use of idle and underutilised resources; flexible employment options for contractors; bottom-up self-regulating mechanisms; lower overheads leading to lower prices for consumers; and more closely tailored and customised products for users. These sharing economy platforms are only in their embryonic stage of development. The benefits to the Australian economy as the market becomes more efficient are likely to expand. This expansion will only occur if Australia’s entrepreneurs are left to experiment and innovate. The real threat to the sharing economy is government regulation driven by the incumbent industries that are challenged. The danger of excessive legislation and regulation will absorb the gains yielded by technology improvements, preventing mutually beneficial trade and stifling economic growth. The law governing copyright infringement in Australia is characterised by uncertainty and complexity. Technological change has exacerbated these problems, enabling large scale copyright infringement, which in turn has exposed a lack of social agreement on the desirability of copyright protection. Constitute an attempt to shift the costs of copyright protection from copyright holders to internet service providers. Furthermore, while the proposal to extend the safe harbour provisions in the Copyright Act is welcome, it helps illustrate the underlying uncertainties of Australia’s copyright regime. This submission first outlines the principles by which copyright law reform must be judged. Copyright is not an unlimited right – it is granted by the government in order to provide incentives for the production of creative work. As such, copyright law has to strike a balance between the interests of monopoly rights-holders and other users of creative works. The political bargain sustaining copyright is inherently unstable, and the instability is further exacerbated by unpredictable technological change. In Australia, the imbalance of copyright is represented most obviously by the lack of a fair use exception for copyright infringement. This creates a great deal of uncertainty in its own right, but in the context of the government’s proposed reforms, weighing the copyright balance further in favour of copyright holders without introducing a fair use exception will substantially increase that uncertainty. The submission concludes by outlining specific problems with the government’s proposals.